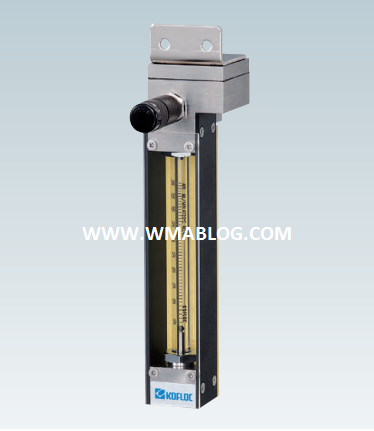 The constant flow valve Model 2203 that permits constant flow and the precision flow meter RK1400 are combined in this flow meter to permit high-precision measurement and control of a wide flow range, from very small flow to medium flow, when the pressure on the load side (outlet side) changes. 1.This flow meter ensures constant flow under constant pressure on its inlet side even if the load pressure loss on the outlet side changes. 2.The measuring section of the flow meter is based on the highprecision float type flow meter RK1400. 3.The precision valve permits smooth and stable control of very small flow. 4.Constant pressure on the inlet side eliminates pressure errors of the float type flow meter, allowing a complete flow control system to be configured. 1. Fluids : Air,N2,O2,H2,He,Ar,CO2 (Calibration with actual gas) For other gases, please consult us regarding conversion conditions or calibration with the actual gas to be used. 4. Control pressure : The pressure difference between inlet and outlet must be 0.05 MPa or more.